The war on drugs has become nationwide, even rearing its ugly head right here in Lafayette. One group says the addiction isn’t tethered to a certain class of people it could happen to anyone. According to Victory Addiction Recovery Center, 71% of accidental deaths in Lafayette last year were tied to an opioid. 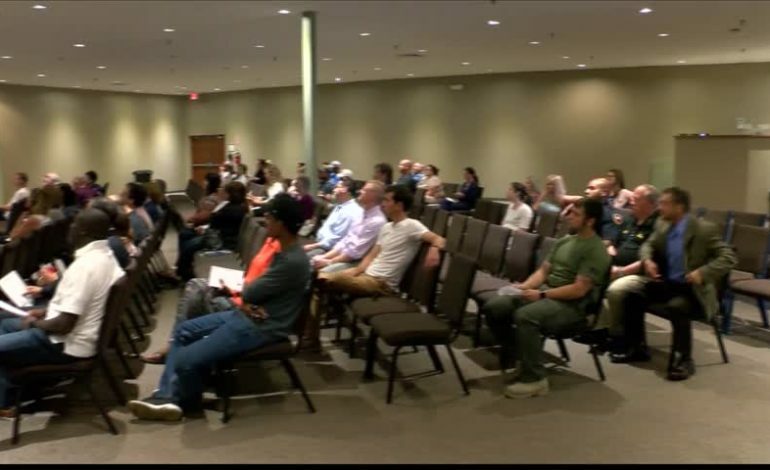 The alarming report from the Lafayette coroner’s office prompted The Knowledge Effect to take action, starting with a town hall. It’s a crisis that’s crossing border lines. “The opioiod epidemic is basically taking over the nation, so its trickling down to the state,” said Mechelle Richard, Program Coordinator for The Knowledge Effect. And there’s no secret that its now become local. “Even if Lafayette is not engulfed in an epidemic, there’s a crisis here and people are aware of that. Its in the news everyday,” said Richard. Local addiction centers and groups already have boots on the ground and are working to bring treatment and change. “We want to enforce prevention treatment and to put a push on disposing of drugs safely, unused medication,” she added. “Its a little bit of both, educating them and hearing from them to see if we can put together a plan to be able to prevent and then treat it and then move forward with a healthier community,” added Doug Macdiarmid with Victory Addiction Recovery Center. Macdiarmid says this is a serious issue that’s in desperate need of attention. “This is something that we’re seeing across the board, ages, races, rural, city folks. Its becoming an issue on all fronts,” he said. And prevention starts with the community. “Keep medication locked up. Not just kids but adults as well. That’s how people are reaching medications but its not for them. They’re taking it out of the medicine cabinets,” Richard added. The Knowledge Effect and Victory Center are working together along with local pharmacies to get safe medicine drop boxes where people can properly dispose of their prescription drugs.